Come and see why our Northern Beaches attracts over 8 million visitors a year, being the perfect location for exploring the best that NSW has to offer. 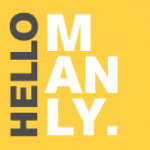 Hello Manly, Official Booking and Information Centre. Live like a local and explore like a tourist at Australia’s Premier Seaside Village – Manly Beach! 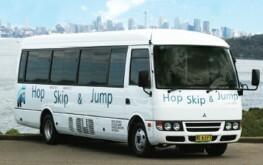 The Hop, Skip & Jump community buses are driving a positive change in Manly. The service is available for everyone and best of all it is free! The Hop, Skip & Jump community mini buses run on 3 routes 7 days a week (see map on the downloadable timetable below). The bus routes interchange at the Totem Shopping Centre in Condamine Street Balgowlah and run to Manly, Seaforth, Balgowlah Heights and to North Balgowlah Monday to Friday only. Our NSW Transport Authorities have a great website that allows you to plan your next trip. It provides you with travel options using their Trip Planner . Trip Planner is an interactive trip adviser assisting you to get around Sydney by walking, using train, bus, ferry or light rail efficiently and stress free. It gives you options such as fastest, least walking required or minimal transport changes to arrive at your destination and also provides departure times and ticketing information.